"I feel like I'm doing everything I can on Social Media, but I'm not seeing results." "I'm using SEO best practices." A recent survey from DM News confirms this is common. 46% of the executives surveyed, stated that a "lack of an effective strategy" was the biggest obstacle in achieving their inbound marketing goals. So why is everyone struggling? WHY, but in this article will show you HOW you can overcome this obstacle...and overcome it in the next 24 hours. Let's roll! First, let's identify what strategy actually is. It really doesn't have to be that complicated. Strategy is simply a plan of action designed to achieve an expected goal. So, we need a goal to get started. For the purpose of this article, let's say that our goal is to generate 50 qualified leads per month for the sales team. Now, we need a plan of action that will get us there. Note: You may have a different inbound marketing goal, so just apply this same framework in order to backtrack from your goal, to an activity plan. If we're going to generate 50 qualified leads per month for the sales team, we need to define a "quality lead". Let's pretend we're a software company that provides project management software for contractors like roofers, electricians, plumbers, etc. The sales team says that if they can get a Demo Request, they consider that a quality lead. Okay, so now we've got an audience and we know what a quality lead is. We're getting closer to being able to build our plan of action. 1. Nail down your target market. Target Market Example: Contractors located in the United States that are doing between $500,000 and $20M in revenue annually. 2. Talk to the sales team and establish what a quality lead is. In this case, we know we need 50 Demo Requests each month. 1. Honestly, this should be something you already know (your target market). But give yourself an hour to talk to a few people inside your company, read through your messaging, and establish who you're really after. 2. Give yourself another hour to talk to a few sales reps or the sales manager at your company. Or potentially, you're talking to the owner or president. Make sure you find out exactly what will be considered a quality lead. Once we know who our audience is and what our goal is, we need to locate our audience.Where are they online? You'll want to look at social media, blogs, websites, and forums.Make a big list! Here's what I might do if I were looking for contractors. First, I'd dive into social media. I know LinkedIn is better for B2B, so I head there first. There are tons of various groups, so I started looking for groups full of my audience. 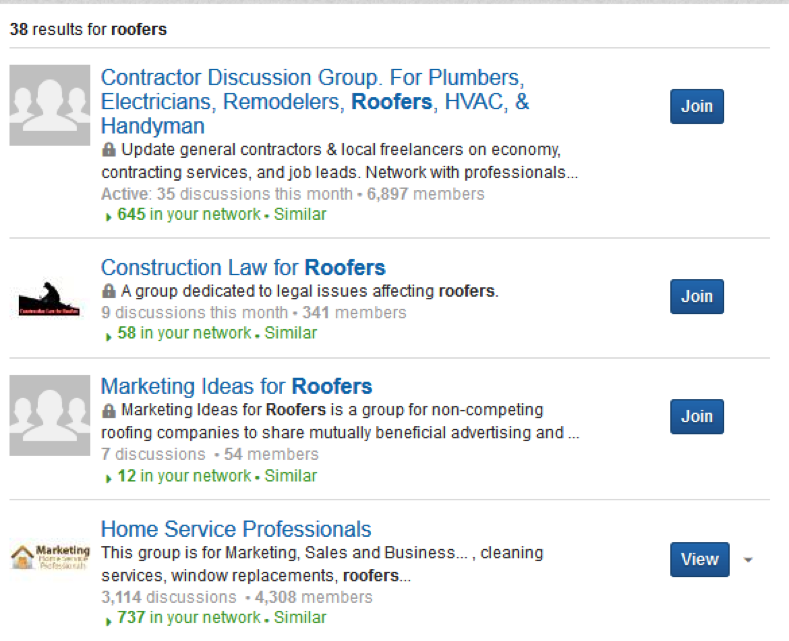 A quick search for "roofers" brings up 38 different groups. I will continue my search for "HVAC", "plumbers", and "electricians". After spending some time gathering a list, hopefully I've identified at least 25 solid groups that have my target audience. Next, I'll explore other social media options to see if there is anything industry specific. 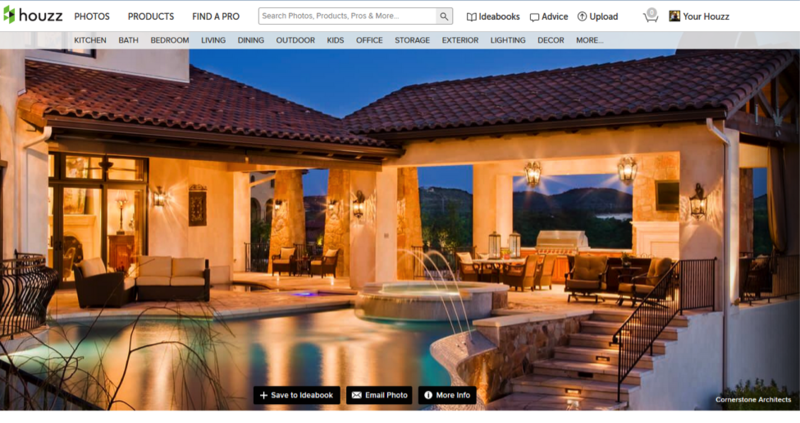 After spending some time on Google, I run across Houzz, a social network for contractors, builders and remodelers. Still further, I'll spend some time on Google again looking for blogs, forums and other websites where I might find my audience. At the end of this research process, you should easily have 50-100 websites (forums, blogs and other websites), groups (on LinkedIn or Facebook) and communities (on Google+) on your list. Now, we're getting somewhere! We're narrowing down the Web and locating the corners in which we want to spend our time and effort. Now, it's time to dig for pain. As you're doing your research and visiting groups, websites and blogs with your audience, start listening. What does that mean, really? How do you listen? What are you listening for? What you want to do is listen to the problems that your audience is expressing.You want to write down the questions they are asking. Write down the things they are complaining about. You want to be able to speak their language. You'll start to see different discussion questions, comments on blogs, or frustrations.Here are a few sample discussion topics I pulled from a LinkedIn Group full of roofers. Obviously, you want to identify challenges and pains around the product or service you offer, but sometimes you can get some really powerful insight just by writing down any common questions or problems. You'll start to see some trends. As you'll see in the next section, we want to use these questions, pains and problems in our content and messaging. 1. Go to 10-20 places on your master list and start copying and pasting your audience's discussions and questions. 1. This should take you about 2 hours, but don't be afraid to spend 3 or 4 if you feel you're not seeing any trends. Alright, now we're ready to create a content calendar. Most people want to rush into this step because it feels like you're accomplishing something. However, this step won't be worth much if you haven't dedicated the time to your research. Basically, now that we've got a sense for what our audience is dealing with, we can brainstorm some effective blog titles, maybe some webinar topics and definitely some ideas. If we think back to our goal of 50 qualified leads per month, you might be asking, "How many blog articles should I be writing?" or "How many lead generation offers, do I need?" You can make an educated guess, but this is always the unknown with strategy. (Strategy is a high level plan to achieve one or more goals under conditions of uncertainty) You make the best plan of action you can to achieve your goal, but you'll need to adjust your plan over time depending on how close you are getting to that goal. Without knowing how much traffic this hypothetical website is getting or how many leads it's currently generating, you'll want to be creating 2-3 blog posts per week. You'll also want to have at least two or three offerrings that you can leverage to capture leads. In addition, you'll want to create email nurturing campaigns that will move leads down the funnel towards the goal step of a Request. For a quick and effective guide to lead nurturing, check out this document here. It will walk you through the steps of taking a lead and moving it towards a goal like a Demo Request. Brainstorm blog topics, or webinar topics. 1. Spend 1 hour brainstorming topics and titles. 2. 15 minutes for mapping out your blog calendar. 3. 20 minutes for planning out your e-books. 4. 20 minutes mapping out your lead nurturing sequences. Your promotions plan is just as important, if not more important that your content plan . Most marketers feel like once they hit "publish", it's time to start working on the next piece. Not true! Once you hit publish, it's time to go to work promoting that article. You spent time writing it, editing it, finding an amazing photo and placing a relevant call to action. Now, it's time to zero in on our audience and share that content with them. This is how we'll drive people back to our content, they'll click on you content, receive your emails and ultimately sign up for a quote or that that demo! Creating your promotional plan will be much easier now that you've got a master list of where your audience lives. You'll be able to share your blog articles as discussions in exactly the right LinkedIn Groups. You'll be able to comment on other websites and blogs and reference your content in a super relevant fashion because you know exactly what your audiences challenges and pains are. You'll be able to craft blog titles that are irresistible to your audience because you studied their problems and pains. Jump into a couple of forums and find the discussions around project management.Add value to the discussion and add a link to the blog post as a reference point. 1. Write out all the possible promotional activities you might have for a specific blog post. Each time you publish, go to that list and execute as many as possible! 1. Spend an hour brainstorming all the ways you could promote a blog post, e-book or piece of content. Phew! There's a lot of work there, but you can do it... and you can do it in less than 24 hours! The total time spent in this process totals 11 hours. Obviously, it would be a long work day to push through these activities, but you'll be setting yourself up for success over the next several months, if not years. If you can't block off an entire day to do this, spend a couple hours each day for a week and you'll be all set. Your goals and strategy will change over time, but I wanted to break down a very simplistic way to create a strategy quickly and start moving forward. 3. Where do they live online? 4. Develop your content calendar. 5. Create a promotional list. I'm curious... how much time do you spend on research before diving into content creation?